On Saturdays, the visiting area at Otisville State Correctional Facility in upstate New York is a bustling, vibrant place. Wives and girlfriends, mothers and fathers, and children cluster around the tables laid out in precise formation down the length of the gymnasium-sized visiting area. Incarcerated men wait behind a line of tape in front of the vending machines while their visitors buy their snacks of choice. Families pose for photographs in front of a New York city themed backdrop, often the only photos that are taken of the men on the inside for the years they’re incarcerated. I don’t think you could come to this place and miss the energy, the positivity, and the love that is apparent in these groups. Whether it’s the table where a middle-aged man and his father sit in silence playing cards or the multi-generational group whose little children, still in pajamas, are passed effortlessly around the table, all the visitors traveled here to see their loved ones and maintain a connection. This is somewhat notable at Otisville, which, as a medium-security institution, only houses people who spent significant amounts of time at maximum security facilities beforehand. And although Otisville is substantially more accessible to New York City than most of the facilities in the state, it still took my group two-and-a-half hours to get here by car – no hop-skip-and-jump. And the prison has done a good job making the space as inviting as possible. Board games, toys, and coloring supplies can be checked out from the children’s corner. Vending machines are stocked with a wide variety of favorites. COs don’t seem to hover as you might expect, and there’s no Arrested-Development style “No touching!” heard while I’m there (I’m sure there are limits, but casual observation indicates that smooching is well within bounds). It’s experiences like this one that make me so sad to read about the new trend in family visits: video visits. 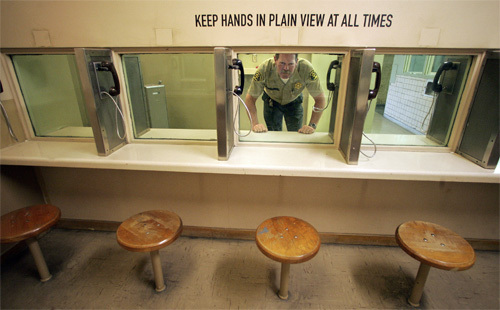 According to a new report from the Prison Policy Initiative (PPI), jails and prisons are increasingly relying on pay-per-minute video visits and, tragically, often shutting down in-person visits in lieu of the video option. As PPI says, this format may have advantages for people incarcerated far away from their families. This happens all the time, in small states that don’t have room for prisons and large states where the “room” is often in rural areas far from the urban areas from which prisoners originate. Most prisoners from Hawaii, for example, live in private prisons in California, while many of Vermont’s prisoners are bussed to private facilities in Tennessee, and most people incarcerated in New York are in far-flung facilities as many as eight hours from New York City. Having the option of a video visit, therefore, can be a great alternative when traveling to see a loved one regularly isn’t feasible. On the other hand, the technology is often sub-par, resulting in poor picture quality or unreliable connections. Video visits are typically pay-per-minute, making them potentially very expensive (and profitable for the private companies that sell the service). And although in-person visit conditions vary widely, it’s heartbreaking to me to imagine replacing the format I witnessed at Otisville – incarcerated fathers reading stories to children on their laps, families wrapping their arms around each other for the camera, a quiet game of cards between father and son, etc. – replaced with a computer screen. Prisons are isolating as it is, and visits with family and friends might be the only source of physical touch, of prolonged eye contact, of letting your guard down for a few hours, that someone on the inside gets. Visits are important. Let’s not let them go. Words alone cannot capture the experiences of parents and children who are separated by incarceration. This exploration of Troop 1500, a girl scout troop that brings together incarcerated women and their daughters, offers a valuable snapshot of some of the challenges and joys that incarcerated parents and their children face while in prison and after release. Check it out and let me know what you think. Why aren’t we making it easier to visit prisons? Prison visits offer a lot of advantages. For incarcerated men and women in prison, getting visits from family, friends, clergy, and others is humanizing. It helps people remain connected with the world outside the prison. It gives them a reason to act responsibly, and helps maintain relationships that are often crucial to their welfare after release. 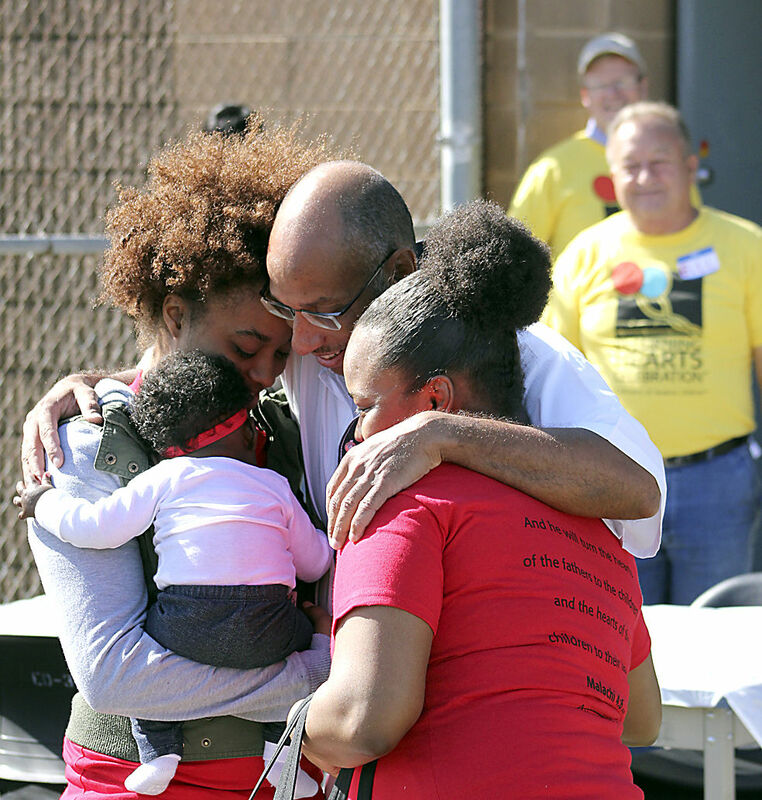 For family and friends on the outside, prison visits allow relationships to be maintained, parents to stay connected to their children, and marriages to weather the storm of imprisonment. It is difficult to see someone you love in prison, but most of the time it’s more difficult to have that person ripped out of your life completely. Prison staff benefit from visits as well. If they have visitation rights to hold over someone, that person is much more likely to follow rules and go above and beyond to protect what little freedom they have. One of my friends moved from a prison where he had a good job, good friends, and quite a bit of freedom to a prison that was worse in almost every way exclusively because they offered trailer visits for married couples. A visit is a powerful thing. A recent study from the Minnesota Department of Corrections illustrates another benefit of prison visits: a reduction in recidivism rates. They measured recidivism and visitation in a variety of different ways, and across the board found that as rate of visitations went up, rates of recidivism went down (way down). So should we assume that because of this great news DOCs across the country are lining up to encourage visits? Of course not. Arizona, for example, always a front runner for biggest jackass in the incarceration world, has recently enacted a one-time $25 fee for visitors over the age of 18. (Check out the full article here.) Freakin’ sweet, Arizona. Guess what socio-economic segment of the population is primarily going to be saddled with that little responsibility? When Middle Ground, an inmate-advocacy group, challenged the fee, a judge supported the legislation and argued that those paying the fee will benefit from it since it will pay for prison upkeep. Is she confusing those who visit prisons with those who live there? Jeez Louise. Imagine if an argument like that was made for a hospital, or a retirement home. It’s a mad, mad, mad world.